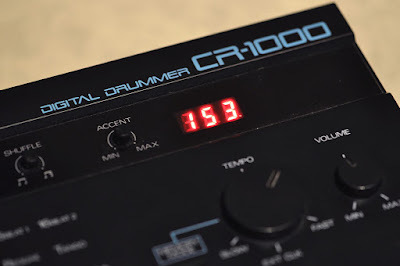 The CR-1000 is a primitive drum machine from the late 80's. It has 16 PCM samples as it's sound source and it plays preset patterns. You can adjust the tempo, accent and shuffle amount and mix the level of the samples. So, there's no sequencer for your own beats, but you can toggle the hilarious fill ins, intros and endings to make a structure for your song. The name CR comes from the vintage analog Roland "CompuRhythm" drum machines. I never really uset this in any WS-Project song, but we had one at home when I was a kid. Back then I actually used it as an accompaniment when I was "composing" my first songs with a guitar. I even recorded some takes on tape. 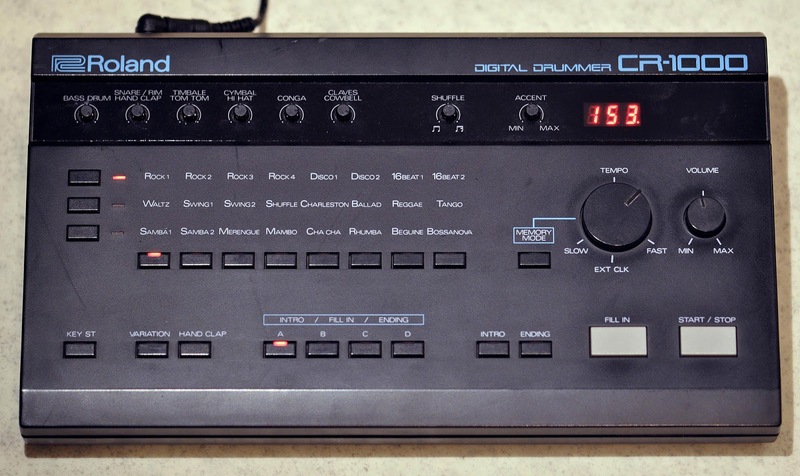 Later I discovered this drum machine, took it to my studio and sampled the 16 sounds and then sold it.